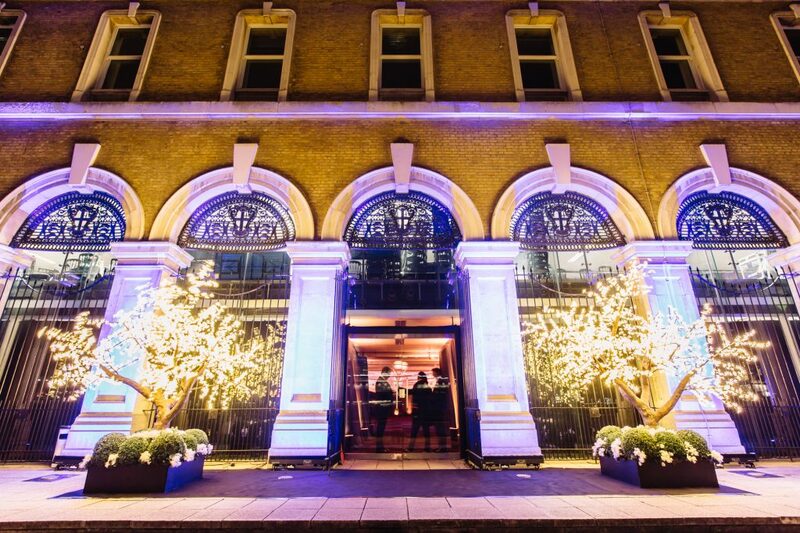 Old Billingsgate or the Artillery Garden at The HAC London for Your Next Large Christmas Party? Two large Christmas party venues from Ultimate Experience! Both conveniently located in the City, Old Billingsgate and the Artillery Garden at The HAC London are world-class events venues and perfect for high-profile Christmas parties. Dating back to the 19th century, Old Billingsgate was once the largest fish market in the world. The Grade II-listed building is noted for its grand pillars and triple-height ceilings and has enough space to accommodate 2,400 guests. Old Billingsgate is one of the largest and most sought-after Christmas party venues in London. Book the entire space, or choose one of the elegant upper galleries or vaulted basements. Whether you’re planning a standing reception or a seated dinner, you can treat your guests to a show-stopping experience, with a wide choice of theming, catering and entertainment. Old Billingsgate also has superb views of the Thames and famous landmarks like Tower Bridge, the Shard and the HMS Belfast ship. The ultimate backdrop for your festive event! Another very popular Christmas events space, The Artillery Garden at The HAC is overlooked by the historic Armoury House, which dates back to the Georgian period and was originally the headquarters of the HAC (the Honourable Artillery Company). Like Old Billingsgate, the HAC London has outstanding lighting and technology, which is specially adapted to a winter theme at Christmas time. 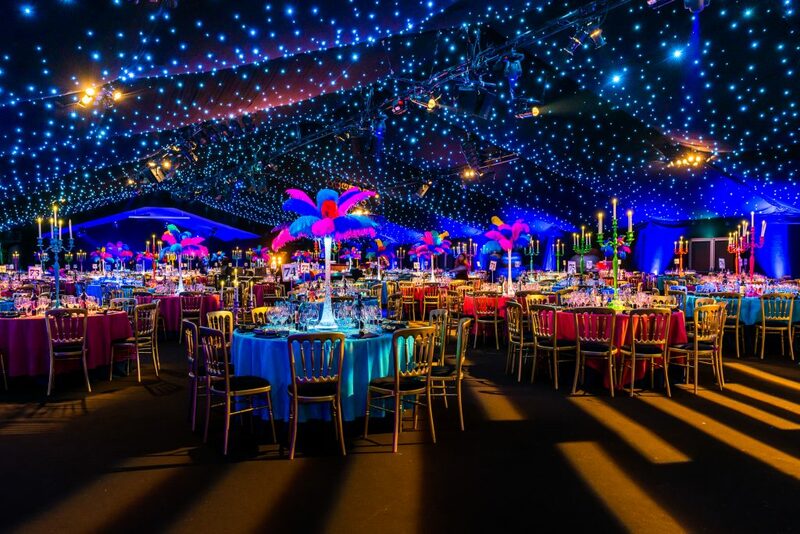 In recent years, Old Billingsgate Vaults has hosted a special ‘Neon’ theme, with geometric patterns, bright colours and colourful fairground lighting. 3. Look forward to an amazing Boogie Wonder Night! This year, the Artillery Garden at The HAC is hosting its very own ‘Boogie Wonder Nights’, which take place between November 22 and December 22 and include a disco mood board, delicious cuisine (seated dinner or standing reception) and fabulous entertainment with all the best music from the ’70’s. Planning an event at one of these venues soon? Then contact the friendly Ultimate Experience team to book a private viewing.